By definition, the term bee stock refers to the loose combination of the genetic traits that characterize a particular grist of honey bees. Some of the characteristics that define a specific type of honey bees are its species, race, region where the bee is locally found, size of the bee population or even the breeding line in a commercially operated beehive. Although clear classification of the types of honey bees is quite unclear because of exceptions to rules pertaining to classification of a honey bee type, experts have their own markers to know and classify a particular honey bee type. And without further adieu, here are some of the most common type of honey bees and their unique characteristics. The Italian honey bee belongs to the subspecies category of the Apis mellifera ligustica which originated from the different parts of Italy, commonly south of the Alps and the northern part of Sicily. Their relatives are also known to have survived the last Ice Age. The Italian honey bee is actually the most commonly distributed type of honey bee since it has been proved to be quite adaptive to any kind of climate ranging from subtropical up to a cool temperature, although the Italian honey bee has been known to be less productive in regions with humid tropical climate. It is also known for its extended brood rearing periods, meaning its hive can be utilized for a longer period of time. Carniolan honey bees are also one of the most widely used honey bees today. They are a subspecies of the Apis mellifera carnica or the western honey bee. 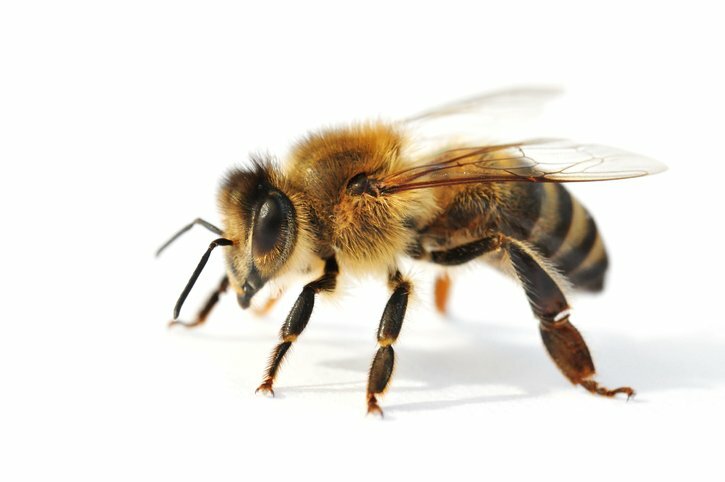 This type of bee is a native of countries like Slovenia, the southern part of Austria, some parts of Croatia, Bosnia and Herzegovina, Hungary, Serbia, Bulgaria and Romania. They are favored by a lot of beekeepers because they tend to rapidly increase in population as well as being quite safe to work with, with the usage of less protective clothing and little smoke. The Caucasian honey bee is a native of the areas near Eastern Europe particularly near the Caspian Sea. One unique characteristic of this honey bee is the long tongue which have proved to be useful in accessing flowers that other honey bees with normal tongue size will not have access to. One common problem of beekeepers with this type of bee in particular is their tendency to use an excessive amount of bee glue to hold their hive making manipulation difficult. Just like domesticated animals, humans also have found a way to manipulate bee genes to fit their needs. And with that the buckfast honey bee was born. These bees were bred in Germany and are still bred up to this day. Buckfast bees are good producers of honey, has low sting instinct, builds up rapidly although they brood slowly in winter. Russian honey bees, as the name suggests, originated in region of Primorsky Krai in Russia. One very good characteristic of the Russian bee is its resistance to various kinds of parasitic mites which can greatly affect brooding and honey production. This type of honey bee is currently bred with other types of honey bees to produce a productive honey bee with strong resistance to mites, though it has also been observed that mixing them with other bee species decreases their production.